Texas is planning to build its own state-controlled depository and wants its gold back from New York State. 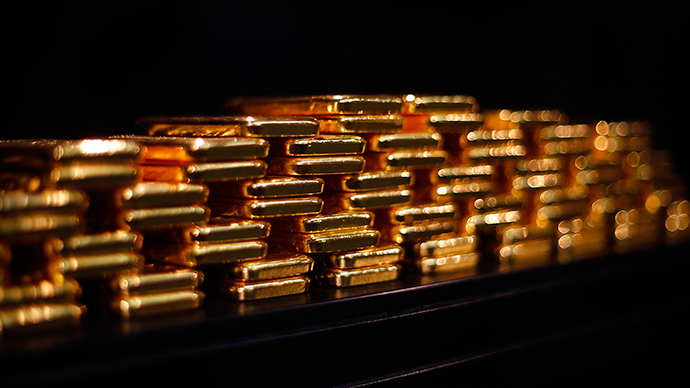 The Lone Star state will repatriate its $1 billion in gold bullion. Texas Governor Greg Abbott signed House Bill 483 into law last Friday. “With the passage of this bill, the Texas Bullion Depository will become the first state-level facility of its kind in the nation, increasing the security and stability of our gold reserves and keeping taxpayer funds from leaving Texas to pay for fees to store gold in facilities outside our state,” Greg Abbott said on Friday. The location of the future depository is still unknown. According to the new legislation, neither the federal government nor any other entity would be able to demand the gold back once it arrives in Texas. “The depository in the case of receiving notice of a purported confiscation, requisition, seizure, or other attempt to control the ownership, disposition, or proceeds of a withdrawal, transfer, liquidation, or settlement of a depository account … may not recognize the governmental or quasi-governmental authority, financial institution, or other person acting as the lawful successor of the registered holder of a depository account in question,” the law states. The bill was suggested by two Republican members of Texas House of Representatives: Giovanni Capriglione and Lois W. Kolkhorst. Texas thus prevents an executive order in the style of Executive Order 6102 of April 5, 1933, which obliged people to give their gold bullions and coins to the Federal Reserve System. “People have this image of Texas as big and powerful … so for a lot of people, this is exactly where they would want to go with their gold,” he added. Capriglione also hopes that these measures will allow Texas to generate revenue of the state and reminds that the state pays New York $1 million a year to store its gold. The main holders of Texan gold are University of Texas and Teacher Retirement System. READ MORE: A second Texan Republic? That is the second attempt of Giovanni Capriglione to establish the depositary in Texas. The first one was made in 2013 but it was not successful. “The lack of faith in central bank trustworthiness is spreading,” the financial blog ZeroHedge wrote Sunday on the reasoning behind the move. "When people in multiple states actually start using gold and silver instead of Federal Reserve Notes, it would effectively nullify the Federal Reserve and end the federal government’s monopoly on money," the free market think tank Mises Institute wrote on Monday. Some conservative-leaning Twitter users who are skeptical of the federal government view this legislation as a positive development. Liberal-leaning users, as might be expected, have a different take on the matter. Texas is not the first depositor of the Federal Reserve System that wants its gold back. For instance, in 2013 Germany wanted to take away its gold from the Federal Reserve System but the answer was negative. The Federal Reserve System explained that it will take seven years – until 2020 – to fulfil the transaction. It is unclear at the moment how the actual transportation of the gold will be executed. There hasn’t yet been reaction from the Wall Street.